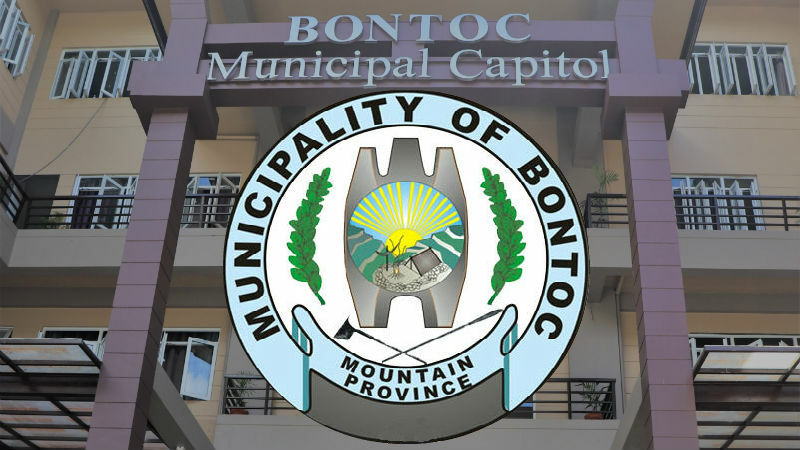 BONTOC, Mountain Province – Senior citizens who took over the seats of the capital town’s Sangguniang Bayan for a day on October 1, 2018, passed two ordinances and three resolutions catering to the welfare of the elderly sector. Atty. Florence Taguiba who took over the seat of Vice Mayor Eusebio Kabluyen for a day is joined by senior citizens Leoncio Lumbag, Frumentio Pala-os, Jose Fang-asan, Betty Jane Dizon, Eufemia Chakas, Cyril Bacala, Sr., Norbertina Ramirez, Mary Sacgaca, Lilian Focasan, Caroline Castaneda and Linda Tangilag who took the place of the Sangguniang Bayan members. The august body passed Ordinance No.1, s. 2018, known as the “Death Benefit Assistance Ordinance”. Under this, a death benefit assistance of P5,000.00 shall be given to the nearest surviving relative who took care of the deceased senior citizen until his/ her death, or in the absence thereof, the benefactor or the foster family of the deceased senior citizen. It is proposed that the amount of benefit assistance shall be subject to an automatic increase of 10% in every after two years from the date of approval. However, it is required that the deceased must be a resident of Bontoc, Mountain Province and that the wake and burial must have been done within the municipality. To oversee and ensure the proper implementation of the ordinance, a committee shall be created to be composed of the Sangguniang Bayan who chairs the Committee on Social Service, Municipal Budget Officer, President of the Municipal Federation of Senior Citizens, and the head of the Office for Senior Citizens Affairs (OSCA). The requirements needed to be submitted to the committee to avail of the assistance include Death Certificate of the deceased senior citizen; and Barangay Certification that the deceased senior citizen is a resident of the barangay concerned. The SCOFAD ratified Ordinance No. 2, s. 2018, revising Municipal Ordinance No. 116, s. 2017 regarding the establishment of the OSCA. It is stipulated in the revised ordinance that the OSCA shall be headed by a senior citizen who shall be appointed by the Mayor for a term of three years without reappointment, but without prejudice to an extension not exceeding for three months, if exigency is required. Also, the senior citizen officials passed Resolution No. 1, s. 2018, appealing for the compliance of Municipal Ordinance No. 165- A, s. 2011, or the establishment of the Incentive and Awards Program for the Best Barangay Senior Citizen Unit in the Bontoc. It was stipulated in the resolution that the ordinance has been implemented during the years that the mandated funding was provided for, however, it has been observed that the funding requirement has not been provided religiously in the municipal government’s budget in the ensuing years. Further, the SCOFAD passed Resolution No. 2, s. 2018, requesting the Sangguniang Bayan not to schedule its regular or special meeting during the Senior Citizens Day. As per record, the Sangguniang Bayan of Bontoc enacted Municipal Ordinance No. 144-A, s. 2009, declaring every first Monday of October as Senior Citizens Day and act as Seniors Citizens for a Day. In their resolution, the senior citizens who took over the seats of the Sangguniang Bayan members believed that it is best if the members of the regular Sangguniang Bayan will be present and interact with the designated SCOFAD for a reciprocal learning process. Furthermore, the SCOFAD – Sangguniang Bayan approved Resolution No. 3, s. 2018 for the increase of financial assistance to the senior citizens from P8, 000 to P10, 000. In their resolution and on behalf of the senior citizens, the SCOFAD acknowledge and are very grateful of the financial assistance of P8, 000 provided to every barangay by the municipal government purposely for the organization of senior citizens. However, with the economic condition and inflation of commodities, they voiced that the barangay allocation is not enough to sustain the organizational needs and to fund its programs and activities. Senior citizens took the place of the Sangguniang Bayan members for a day are hopeful that the ordinances and resolutions which they have passed for one day will be given attention by the chief executive and the legislative body. Elderly Week is celebrated every October 1 to 7 of every year which aims to maximize the contributions of senior citizens in nation building.